At Provence, summer weather always means a new menu with great new seafood options, and in May we get fresh BC Spot Prawns. This year, Chef’s Jean-Francis and Sheldon (with their team) have created something really special. Combining a few of their favourite BC Spot Prawn dishes from years past with some new ideas, we’re sure you’ll find something you love. Spot Prawn season this year is set to open in mid-May, so we plan to begin offering our Spot Prawn menu on May 15. Please note that dates are subjective and may change depending on the availability of BC Spot Prawns. Don’t wait to visit for your BC Spot Prawn menu as the season can end suddenly. Don’t forget that this year’s Spot Prawn Festival is on May 12, 2018, at Granville Island, just a short ferry (www.granvilleislandferries.bc.ca) ride from us. Visit www.spotprawnfestival.com for all the details on the event. 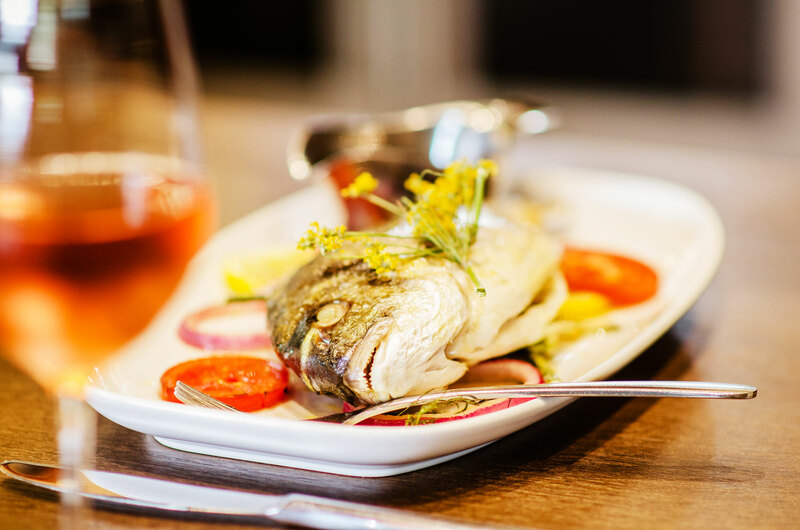 The Whole Mediterranean Fish is a regular feature on our menu, but it’s so much more than that. This dish has history; Chef Jean-Francis remembers making it with his mom using fennel grown in their garden when he was just a youngster growing up in Marseille. Now, half way across the world, Chef JF grows fennel in his own garden, and we use it here in the restaurant to make this dish. With a name like Potato and Bacon Stacks, how can you go wrong? Potatoes and bacon stacked and served with blue cheese aioli just sounds like heaven to me, match it with a beer (I suggest the Original 16 Pale Ale.) and you’ve got it made. Follow that with a nice glass of sauvignon blanc to match your Mediterranean fish and you’ve got the makings of a new favourite meal. You might be surprised to learn that at Provence Marinaside, we consider ourselves a French Mediterranean restaurant. Our menu may have a heavy focus on seafood, but we do also cook a mean steak. 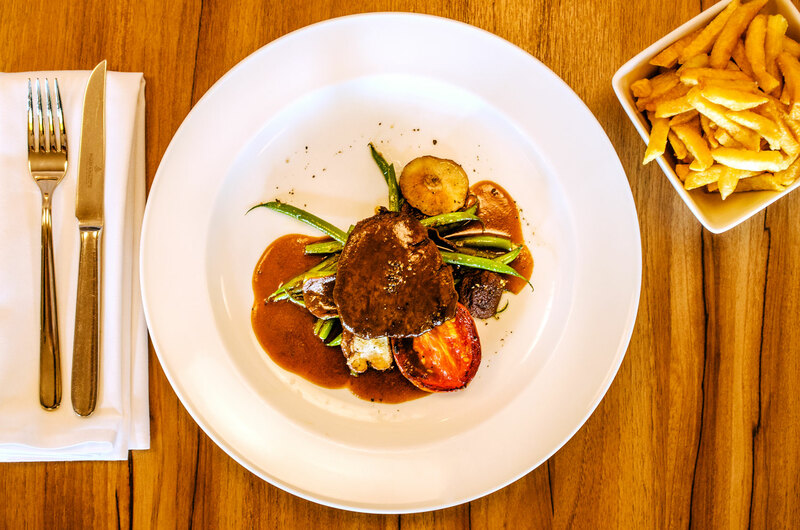 This week we have a AAA Canadian Beef Filet with green beans, shiitake mushrooms, smoked roma tomato, pomme frites, and red wine and peppercorn jus on our menu. You really can’t go wrong with a perfectly cooked steak with fries. Returning to contribute to the Chef’s Top Ten is Chef Mohit. He has created a Pulled Pork Stuffed Eggplant Roll, served with smoked sour cream (How do you even do that?) and pickled vegetables. This dish hits all the flavor points. You’ll be sorry if you miss out, so make your reservation now! Lamb and mustard; I guess I always knew they were a good match. I just didn’t know how good until I started eating at Provence. 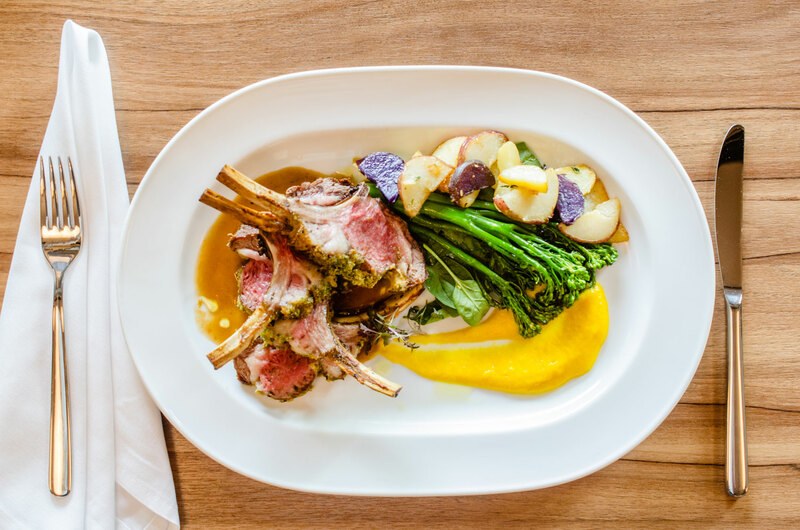 We have Chef Jean-Francis’ famous Oven Roasted Rack of Lamb for you all week long. With its herb and Dijon crust, this has got the one of the most delightful versions of rack lamb around. It’s tangy, fresh and sweet in every bite, an I just can’t get enough. Maybe I shouldn’t tell you all about this, that way I can have it all for myself. Chef Matt Ward looked to his Irish heritage for inspiration, and brought the potato to the forefront of his appetizer. To ensure that his Fingerling Potato Crisps fit within the French theme of the restaurant, they are topped with blue cheese, diced red and yellow peppers, and finished with a salsa verde yogurt drizzle, green onions, and virgin sauce. If you’re unclear of what this dish might entail, you’re not alone. I was a little unsure when I first heard about these Fingerling Potato Crisps too. Chef Matt put it into a term that we can all understand; nachos. I love nachos and I love potatoes! They’re perfect. If you’re thinking that nachos are a little too much like pub food, you’re in for a surprise. This dish is as upscale as any other on our menu. Love it or hate it, Bouillabaisse has been around for a long time at Provence, and it’s not going away any time soon. Many people believe that Chef Jean Francis’ Bouillabaisse is as close to the authentic dish served in France, as you’re going to get in Vancouver. This bold fish soup filled with clams, mussels, prawns, fish, and fingerling potatoes, is served with rouille, gruyere and crostini on the side; one of the heartiest dishes we serve. 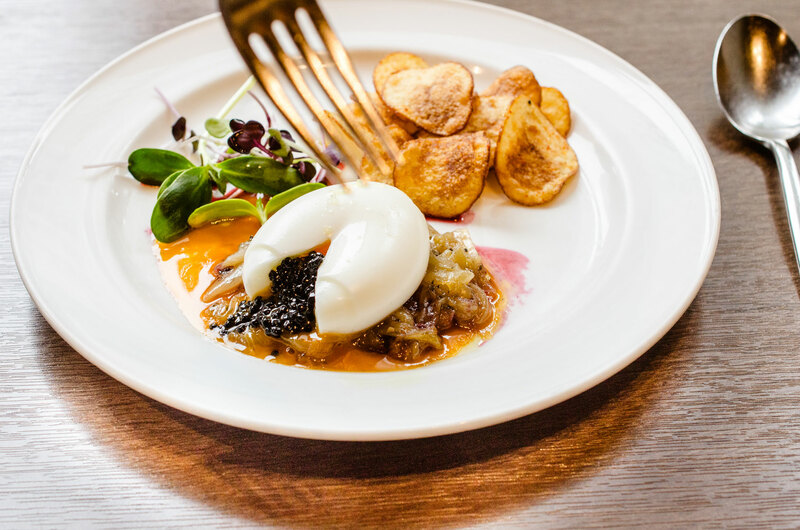 Chef Matt has created his own appetizer to compliment the long list of ingredients in the Bouillabaisse; Soft Poached Egg with Red Onion Soubise, stuffed with smoked herring caviar and served with fingerling potato petals. They say a picture is worth a thousand words; I’m not sure that would cover the amount of words to describe how amazing this dish is. I’ll let the picture do all the talking for this one. Let me tell you this though; it’s delicious and well worth trying. I know I’ll be coming for dinner this week.